Greetings of peace! In April, the Religions for Peace gathering will be a Silence meditation to honour Earth Day Saturday 22 April 2017 3.00-4.00pm at Kris’ property 94 Morphetts Rd, Neika. Come and join us and people from the other 192 countries around the world in sending vibrations of peace and healing to the Earth and all living creatures. Apologies for the lateness of this newsletter. The effort required for our recent launch of the resource Promoting Equality and Respect: an Interfaith collaboration on preventing family violence has put the newsletter behind. However, the launch was considered very successful and we are in the process of following it up to bring the recommendations of the Victorian Royal Commission into Family Violence with respect to Faith Communities to the attention of the relevant state authorities. Thank you to Her Excellency Professor the Honourable Kate Warner, Governor of Tasmania AC, Jacqui Petrusma MP Minister for Human Services and Minister for Women, Madeleine Ogilvie MP Shadow Minister for Multicultural Affairs, Ms Hina Durrani, Women’s Chair of Federation of Ethnic Communities’ Council of Australia and Board Member of Multicultural Council of Tasmania, Dr Geeta Lad, President of the Hindu Society of Tasmania, The Very Rev’d Richard Humphrey, Dean of St David’s Anglican Cathedral and our MC, Cassy O’Connor, Leader of the Tasmanian Greens. Thank you to everyone who attended and supported this important initiative! On Thursday 16 March, at the invitation of Anna Reynolds, CEO of the Multicultural Council of Tasmania, Narindar from the Guru Nanak Society and I helped to brief the Legislative Council of Tasmania on the expected effects of changes to Tasmania’s Anti-Discrimination Act, which would allow people to offend, insult and humiliate others for religious purposes. We were grateful for the opportunity and felt that the Members of the Legislative Council listened carefully to what we had to say. In April, the Religions for Peace gathering will be a Silence meditation to honour Earth Day Saturday 22 April 2017 3.00-4.00pm at Kris’ property 94 Morphetts Rd, Neika. Come and join us and people from the other 192 countries around the world in sending vibrations of peace and healing to the earth and all living creatures. Inquiries to Terry 0438 069 728. Today is the equinox, as well as Naw Ruz (Baha’i New Year) and we send many good wishes to our Baha’i and Iranian friends for this special day. Today is also the start of Harmony Week and tomorrow, 21 March, is Harmony Day. For events, please see the Harmony Tasmania website. 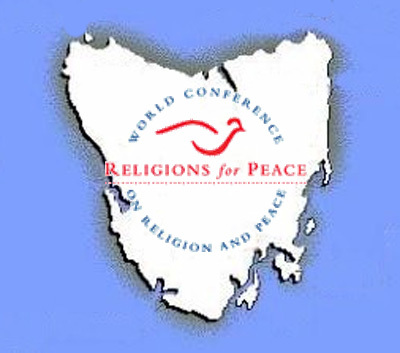 The retreat will be held from: Fri, 24 Mar 17 10:00 am – Fri, 31 Mar 17 2:00 pm at Maryknoll Retreat and Spirituality Centre Blackmans Bay, Tasmania. Details and registration: Anne on 0407 704 539 or info@grieftograceaus.org.au or www.grieftograce.org … an overview of Grief to Grace is found here. Please invite your wives/daughters/mothers/aunties, husbands/sons/fathers/uncles, friends and anyone interested in your faith communities. Again, this is a very important gathering. Could you let me know how many people are coming from your community, as light refreshments will be served and we will need to know numbers for catering purposes. The first foundation stone of Hobart’s St David’s Cathedral was laid 200 years ago. To commemorate this auspicious event, celebrated film composer and orchestrator Ricky Edwards (Shine, Sliding Doors, The Lego Movie) has written a breathtaking hymn for an augmented Cathedral Choir. Two centuries of noble history deserves a rich tribute. Edwards’ composition embraces the musical elements that have a place in that history: affiliated choirs, boy soprano and baritone soloists, organ, bells and percussion. Also featuring is Puccini’s spectacular Sanctus e Benedictus for baritone and choir, and Mystical Songs by Vaughan Williams for solo baritone and organ. Maha Abdo, the CEO from the United Muslim Women’s Alliance based in Sydney, will be available to meet with any Muslim women who might be interested in forming their own group in Tasmania. This meeting will be at the Migrant Resource Centre, KGV Sports and Community Centre, 1A Anfield St, Glenorchy on Thursday 30th March from 2.30-4.30pm. This meeting will be part of the Hear our Voices Multicultural Women’s Gathering 30-31 March 2017 (more events will be held on Friday 31st March at the Hopkins St Centre, 65 Hopkins St, Moonah from 9.30-2.30pm). Key partners include MRC, Catholic Care and a range of other services. The next Spiritual Care Australia Conference is at the Gold Coast May 7-10, 2017. We have a rich mosaic of excellent speakers lined up around the theme “Engaging a Mosaic of Care”, and look forward to a variety of practical and significant workshops. As well, you will be able to nourish yourself in the relaxed setting of the conference hotel, the Crowne Plaza Surfers Paradise. Details of the theme, the speakers, registration costs and more are on the conference website. Colleagues in allied health departments or local faith communities might also be interested in the offerings – feel free to spread the word! Remember – Early Bird rates apply to registrations for the full conference both for SCA members ($595) and for non-members ($695). The price includes every keynote address, opportunity to attend three workshops or seminars of your choice (and a self-care elective), the Gala Dinner, and all lunches, morning and afternoon teas. If you haven’t decided whether to attend – you now have until 31 March to make up your mind before the prices go up! Please visit it on a regular basis for the latest news about this important professional development event. Registrations open 9 January and the Early Bird rate ends on 31 March, so get ready to sign up. The title for the next Soul Food on 2nd April will be “The Rays of One Sun” which we do hope you can share with us as it is a free community event open to all and of course, we offer a nice refreshment to follow. “The Rays of One Sun” is about the light which the Manifestations of God bring to the world through the rejuvenation of our spiritual lives. Designed to encourage us to cherish the love we share with our fellow man you will discover how these quotes and readings can profoundly impact unity and peace in our community as expressed in the divine teachings. Join millions of people around the world for an hour of silent meditation for world peace. This will be held at the Brahma Kumaris Meditation Centre, 51 Tower Rd, New Town (Cnr Bell St) on Easter Sunday 16 April 6.30-7.30pm. We dance upstairs at Wesley Hall , 58 Melville St. There is some parking in the car park. You will need to enter through the side entrance via the car park and head up the stairs. Health and aged care provider Cabrini has launched a new website to support health professionals to have sensitive conversations about advance care planning with people from different religious and cultural backgrounds. Professor Lee Boyd, executive director of nursing and the Cabrini Institute, said the website was an important resource for health and aged care workers. “Although it may seem confronting, conversations about end-of-life choices don’t have to be sad or negative – in fact, they can be empowering opportunities to share thoughts about living our lives to the full and to have certainty and confidence around important decisions for ourselves and our loved ones. We need to make the right choices for ourselves about our care and to have ownership of those choices,” she said. 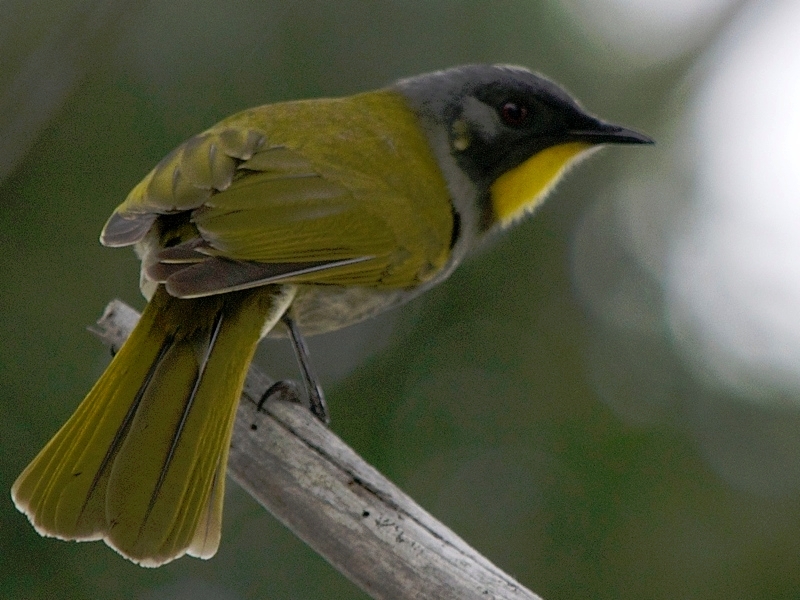 The honey-eater was a plain little bird, kind and friendly. She was the watcher of the forest and kept a motherly eye on any baby birds and animals where she lived. When the native cats and devils came prowling around to molest the young and helpless, the honey-eater would raise a noisy alarm and chase the intruders away. She fell in love with Mana, the wattle tree, and when she was not protecting the helpless she would sit for hours in the beautiful tree, admiring the rich gold blossom and stroking it with her soft silky throat. When the honey-eater looked at herself in the mirror of the pool she saw that her feathers had changed colour. ‘Your dear love’s tresses will forever enfold you’ said the little elves, ‘and his golden blossom will shield you from all harm. You will be called the green one”.